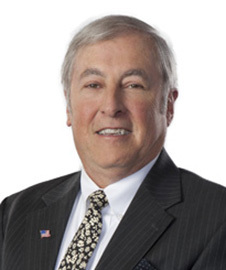 James Armstrong began practicing law in 1971, serving six years as a Staff Judge Advocate in the United States Air Force (Captain, active duty 1971 to 1977). After a year as Deputy Attorney General in the Nevada Attorney General’s Office, Mr. Armstrong joined the firm in 1978. Through 2000 Mr. Armstrong’s practice included general insurance defense litigation, bad faith, and coverage issues. During this time Mr. Armstrong routinely tried cases in Las Vegas and elsewhere in Nevada. Since 2000 Mr. Armstrong’s practice has focused primarily upon alternative dispute resolution, including mediation, arbitration and case evaluation. To date, he has mediated hundreds of cases. Mr. Armstrong was also a co-chair of the Nevada State Arbitration Committee and a member of the Nevada Short Trial Rules Committee. Nevada designed these programs to act as diversion programs for smaller value cases so as to provide the parties access to justice while improving judicial efficiency. Mr. Armstrong is still active as an arbitrator and short-trial judge in these programs, as well as frequently serving as a private arbitrator. Mr. Armstrong earned an AV® Preeminent rating by Martindale-Hubbell reflecting his legal talents and dedication to ethical practice. In 2007 and 2011 he was selected as a Nevada Super Lawyer for the services provided to his clients.